Cygnet Lake is approximately 3500 acres with 12 islands. The Cygnet River flows into the lake at the south end, and flows out at the north end only a few hundred yards from camp. For those that are interested, a local guide is available for a daily fee. We are a full-service licensing station and can issue all required licenses on-site! 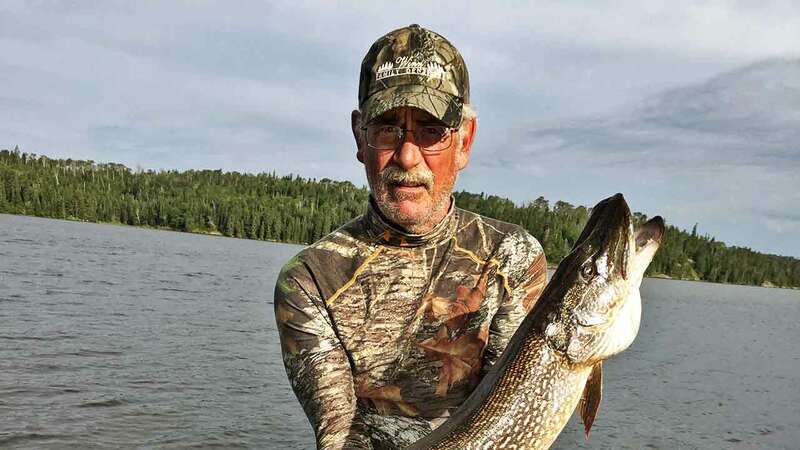 The poster child of Canadian fishing is extremely abundant in Cygnet Lake. 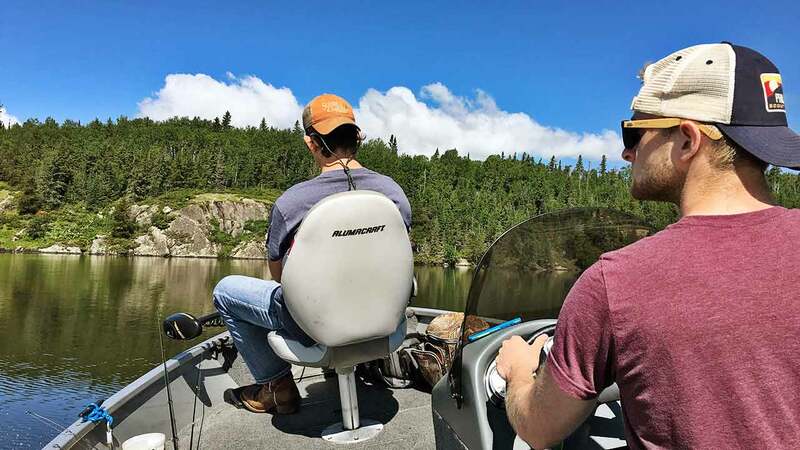 With the lake’s great structure, weedy bays and high baitfish population it’s harder to find a spot where the walleyes don’t roam than where they do — 100 walleyes boated in a day is the norm, not the exception. 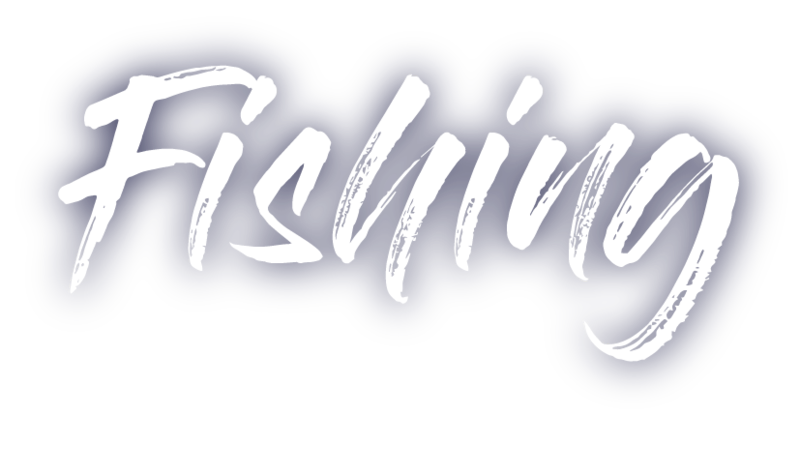 We recommend: 6’-7’ spinning rods with 6lb - 8lb line and 1/8 to 1/4 oz jigs tipped with live bait, which is available at camp. 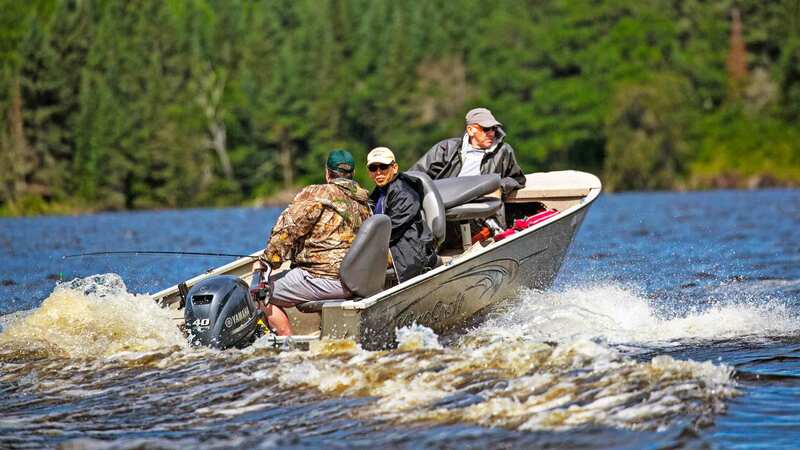 Other popular techniques include trolling with lindy rigs, spinner rigs or casting crank baits. 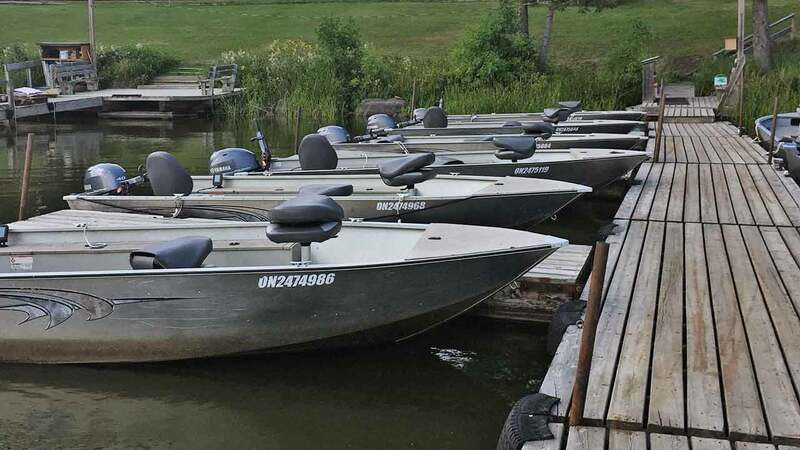 Cygnet Lake has a fair population of smallies, but most catches are incidental. If you would like to catch a bunch of smallies, contact Chuck about one of our bush lake trips where they reign supreme in their own waters. 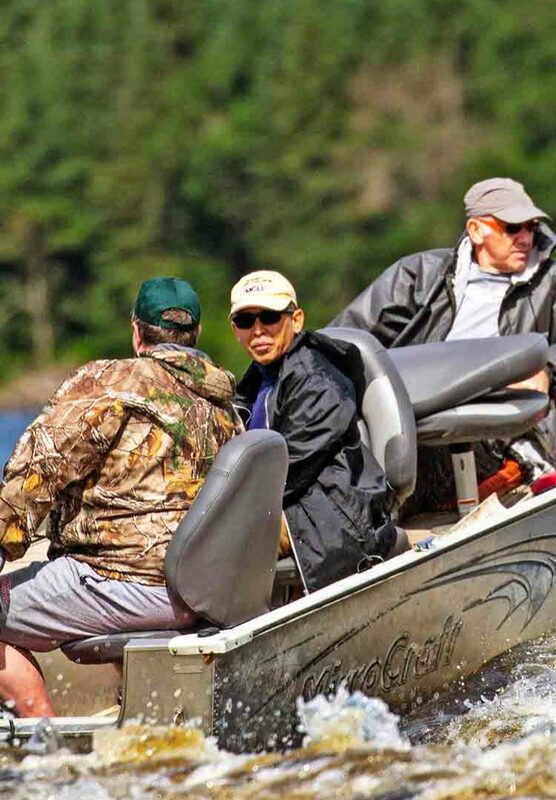 We recommend: 6’-7’ spinning rods with 6lb - 8lb line. Favorite baits include tube jigs, cranks, top water jerks. Leeches or crawlers on a hook with a split shot also work well. 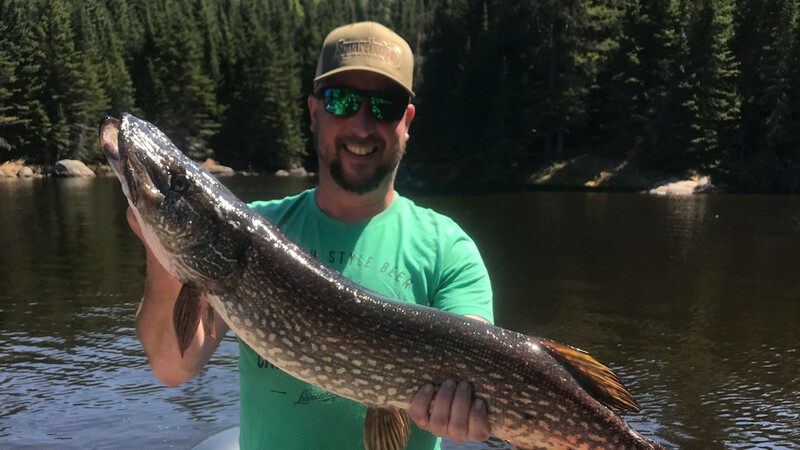 The fierce northern pike brings powerful hits and long wild runs to keep any angler casting and wanting more. 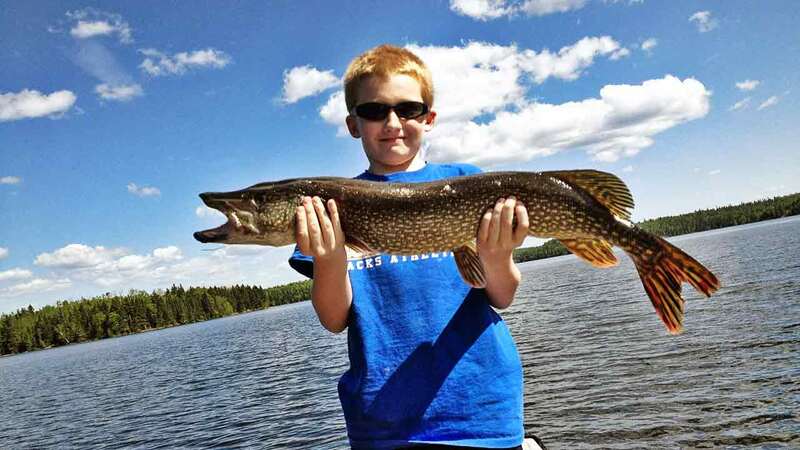 Like the walleye, the pike are abundant because of the high population of resident baitfish and great lake composition. Large numbers in and above the slot are caught weekly, with the largest being 48” since 2002. We recommend: 6’-7.5’ spinning or casting rods with a good braided or super line, such as PowerPro. Spinners, spoons, large crank baits and jerk baits are key to a great catch. Quality wire leaders are a must. Often overlooked as a species to be targeted by anglers, large perch are everywhere in Cygnet Lake. 11”-13” perch are common. Their smaller fillets fry up nicely and are delicious. 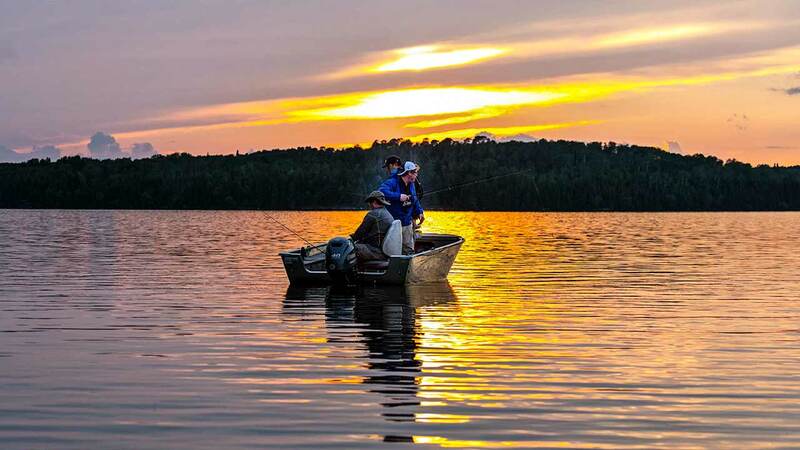 Plus the liberal limits allow for a great fish fry back home reminding you of the great time you had at our camp. We recommend: Ultra light spinning tackle with 4lb - 6lb mono line and 1/64 to 1/16 oz jigs tipped with half a minnow or piece of night crawler. 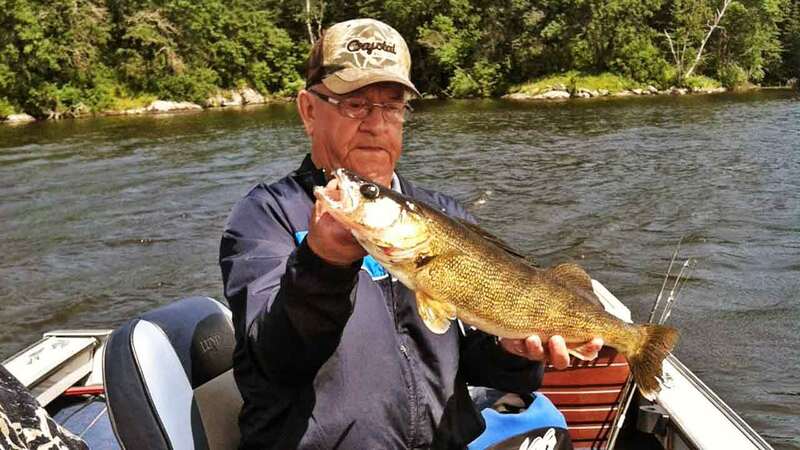 For walleye, Ontario regulations allow for one walleye over 18.1” to be kept. 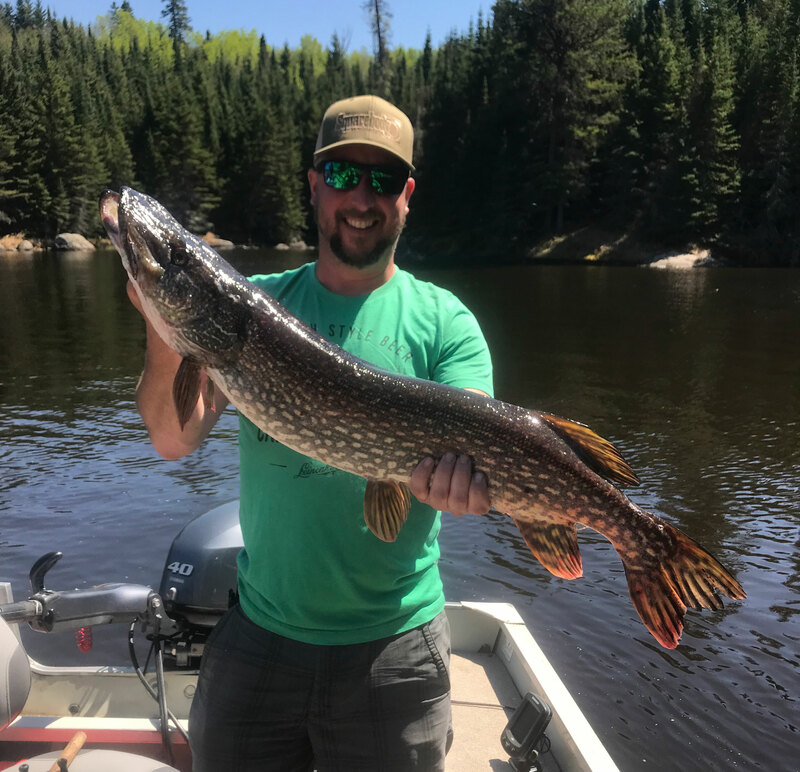 For Northern, Ontario protects all fish above 29.5” from being kept. 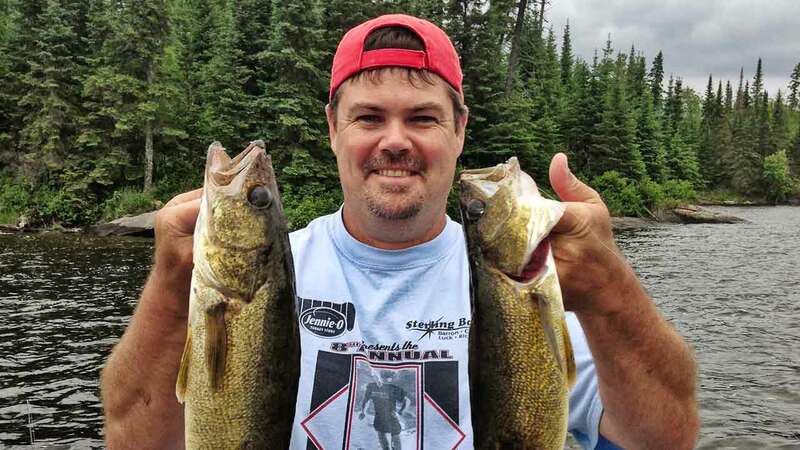 At Cygnet Lake Camp we go one step further and ask that no walleye over 18'' be kept. Because the growing season is so short this far north, we need to protect the breeding stock of our lake. This policy ensures breeding protection. 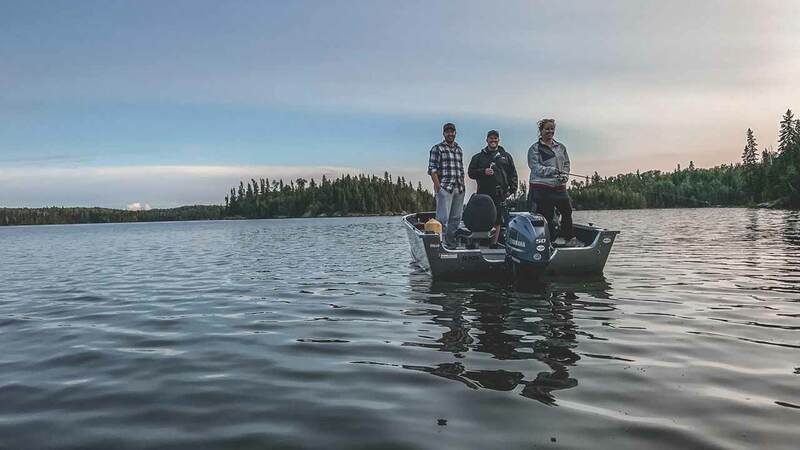 Cygnet Lake has always been a tremendous fishery, but since implementing this policy in 2002 and putting this policy in place, the average size and numbers of fish has skyrocketed. 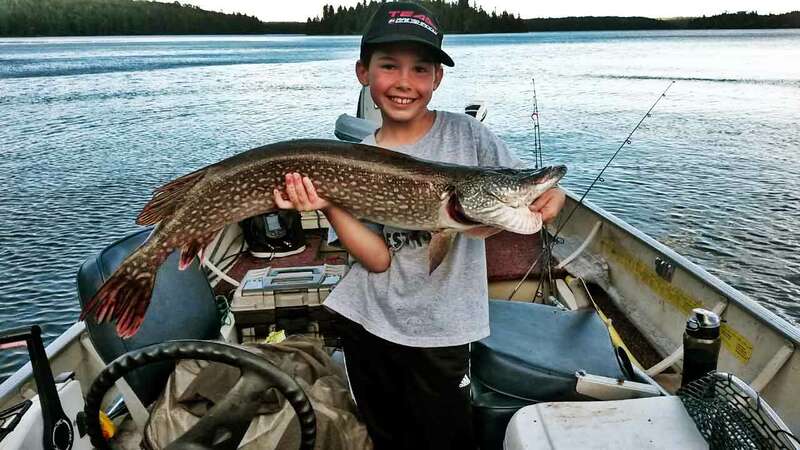 Now, the future of fishing on Cygnet Lake is better than ever and will be for generations to come. ALL OF OUR BOAT RENTALS INCLUDE GAS FOR THE WEEK. 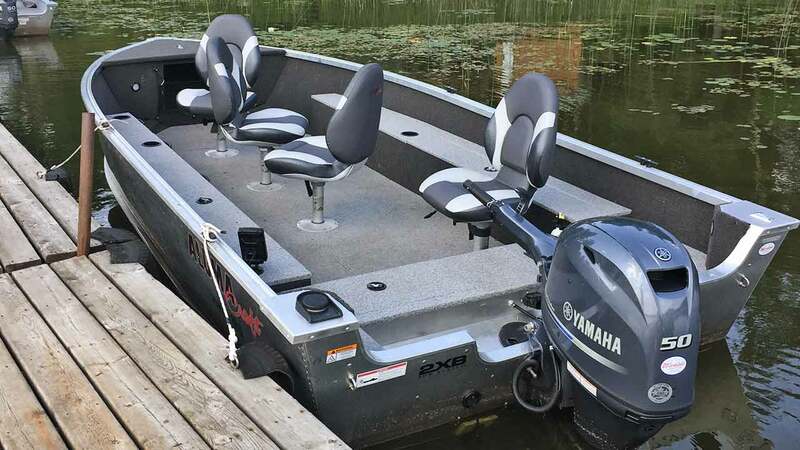 FOR THOSE THAT WANT TO BRING THEIR OWN BOATS, WE HAVE A WONDERFUL LAUNCH AND GREAT DOCKS. GAS IS ALSO AVAILABLE FOR PURCHASE AT THE CAMP.